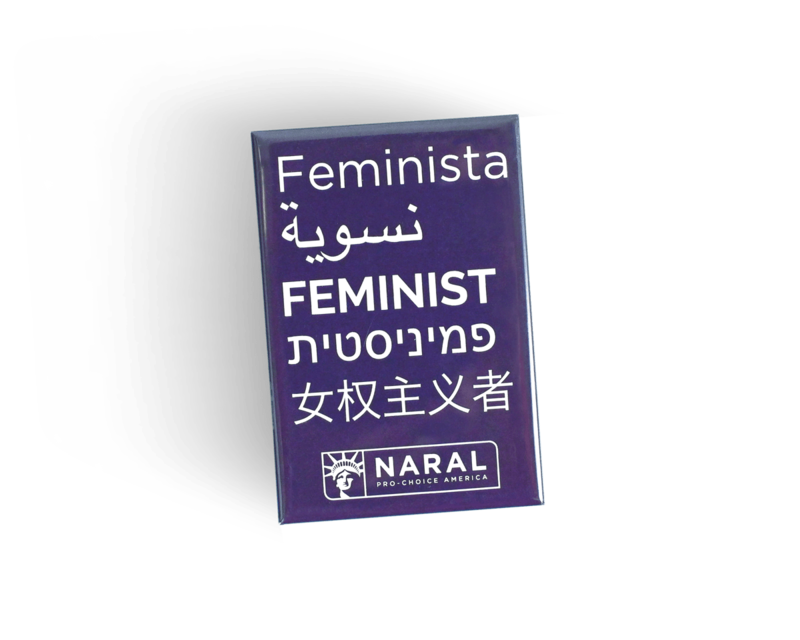 Pin this button to a shirt, jacket, hat or tote and join the fight to protect reproductive freedom because women - not politicians - should have the right to make the personal, private decisions that affect their reproductive health. Union-made. Button measures 2.25" in diameter.